Being the sleep deprived new parents that we are; we were in desperate need of a getaway. 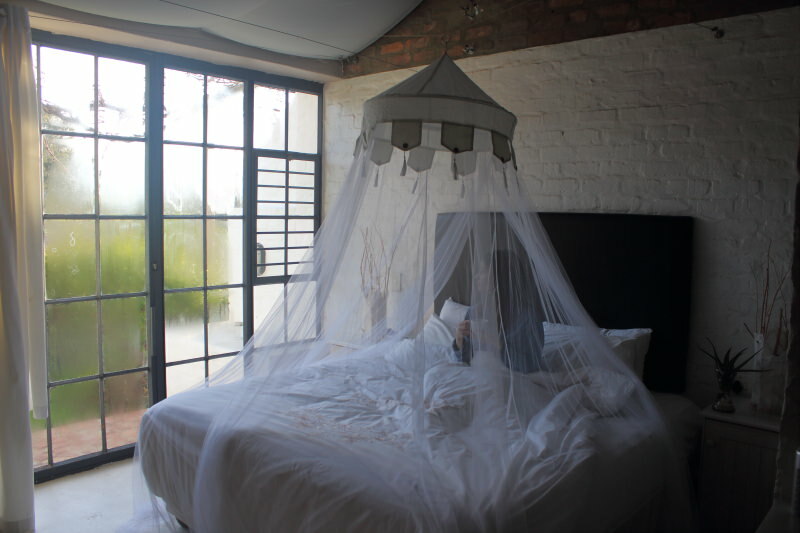 So when we were invited for a night’s stay at Essere Lodge, our tired bodies obviously screamed ‘yes please’! 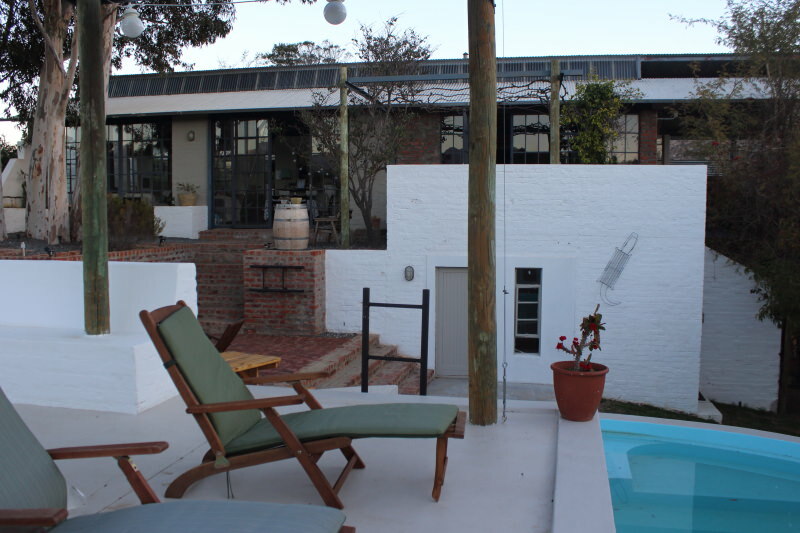 Essere Lodge is situated in the quaint town of Tulbagh, a mere 90 minute drive from Cape Town. 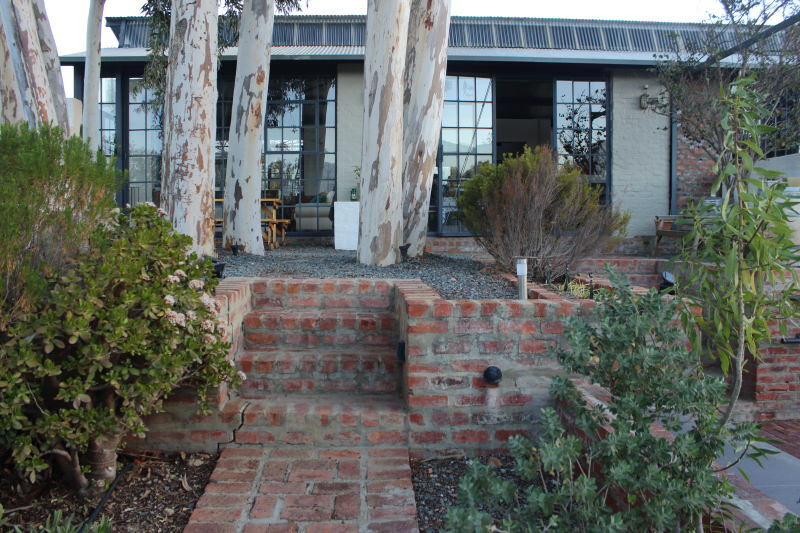 The Lodge Boutique Guest House forms part of the Tulbagh luxury accommodation options and is the perfect escape from city life. We arrived at Essere Tulbagh on a windy Saturday morning. Bright yellow canola fields lined the road from the town of Wellington all the way to our destination. The little road trip did an excellent job of getting us excited for the day ahead. We were warmly greeted by our hosts Alison and Lawrie as well as their cute little pooches – Watson and Sherlock. While enjoying a hot cup of coffee we got to know the rest of the invited media group while taking in the 180 degree mountain views from inside The Barn. 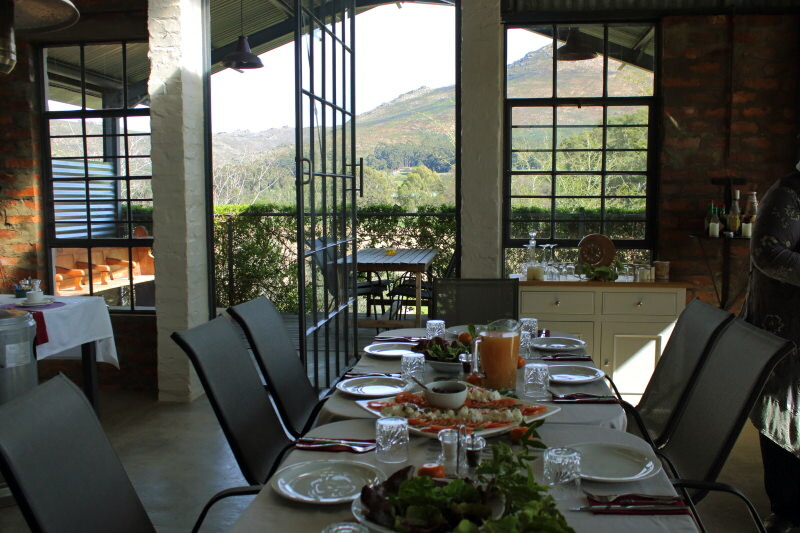 The Barn is the main lodge of the premises with floor to ceiling windows and two terraces which provides gorgeous mountain and garden views. 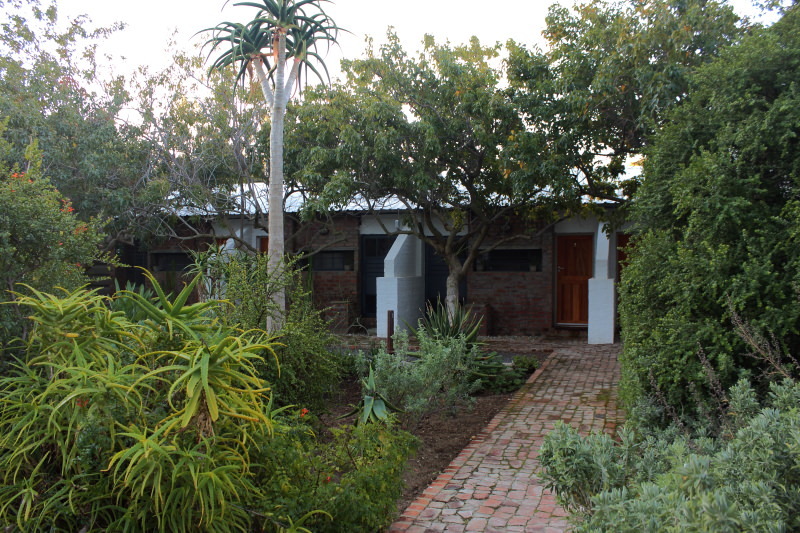 I particularly love the industrial farmhouse chic design and décor which offsets the lush green gardens beautifully. We were treated to a cheese demonstration and tasting in the lounge area of The Barn by in-house chef Karin Schmidt where after lunch was served, once again overlooking the mountains. Our stomach lining fully in place, we headed to the well-known Saronsberg Wine Cellar for some wine tasting with their award winning winemaker Dewaldt Heyns. The grounds and artworks of Saronsberg are equally exquisite and I’d highly encourage adding a visit to your list of places to see in Tulbagh. The rest of the afternoon was spent exploring the leafy green grounds of Essere Lodge. There are few things better than lounging around on their pool deck overlooking lemon trees offset against majestic mountains in the background. 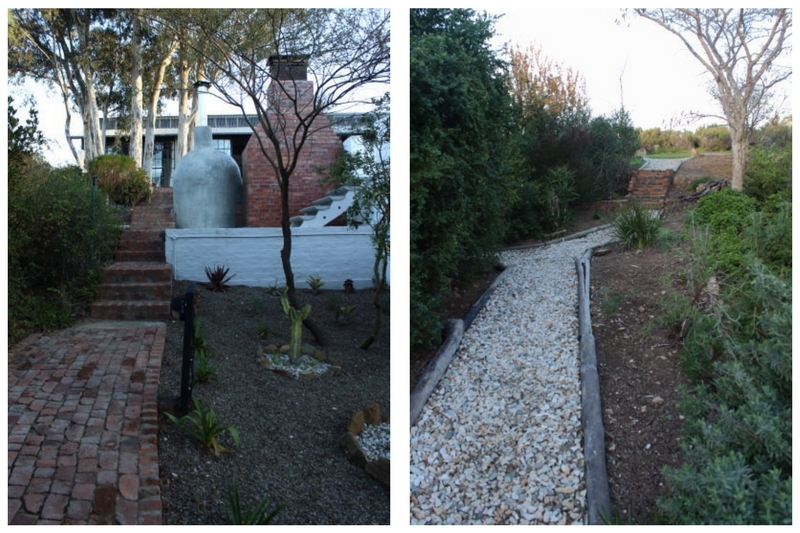 We stayed in one of the Garden Suites which are nestled behind their succulent garden and pool. Each suite has its own private patio – the perfect spot for relaxing with a good book. The room was also warm and cosy for the evening thanks to the panel heater and electric blanket. Perhaps the only thing that took some getting used to was the shower which faces the garden and has sections of glass which left one feeling a bit exposed. Other than that, I appreciated the alternative farmhouse chic look – think exposed brick, copper pipes and wooden branches used as clothing rails. One could easily compare the gardens to a little maze of mystery. It was wonderful taking a different path each time winding through the trees and relaxing in the garden furniture. Essere Lodge has perfected the art of blending in with its surroundings and becoming one with nature. We chatted up a storm in the main lodge while sipping on sundowners and watching the sun fade away. Chef Karin spoiled us with a delectable three course dinner which even brought the resident cat Sir Benny out to see what all the delightful aromas were about! After dinner coffee resulted in late night chats and laughs in front of the crackling fire in The Barn before walking through the fairy light lit gardens back to our suites. With tummies full, minds at ease and heads filled with wonderful memories made, we drifted to sleep. We left Essere Lodge after breakfast the following morning with heavy hearts. You’d have to visit quite a few establishments to find more gracious and down to earth hosts than Alison and Lawrie. 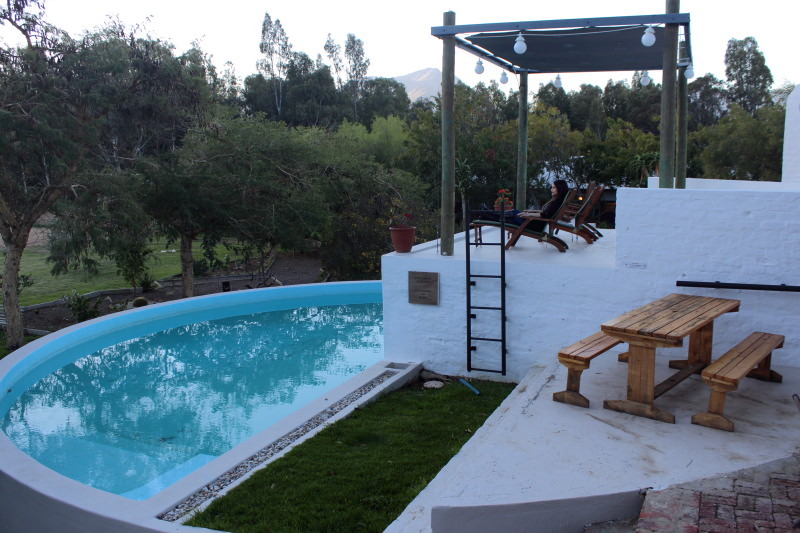 And with plans to add self-catering log cabins and Jacuzzis to the lodge, we will most definitely be back to this gem of Tulbagh. seems like a super comfy place to unwind!